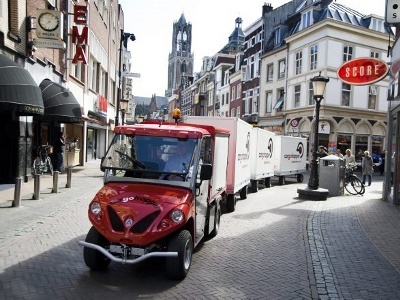 Electric tractor: electric towing vehicles with great loading and towing capacity, genereally used inside railway stations, airports, supermarket, industries, warehouses, ports, hangar. 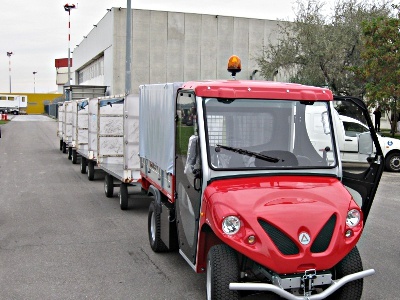 Alkè towing tractor with trailer for transport of goods in limited traffic areas. 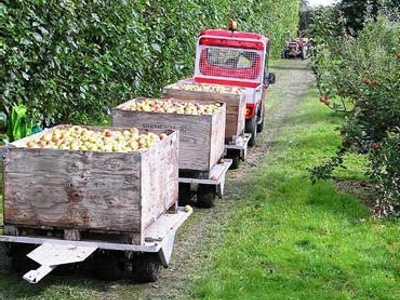 The main purpose of an electric tractor is to tow one or more trailer where you have the goods. 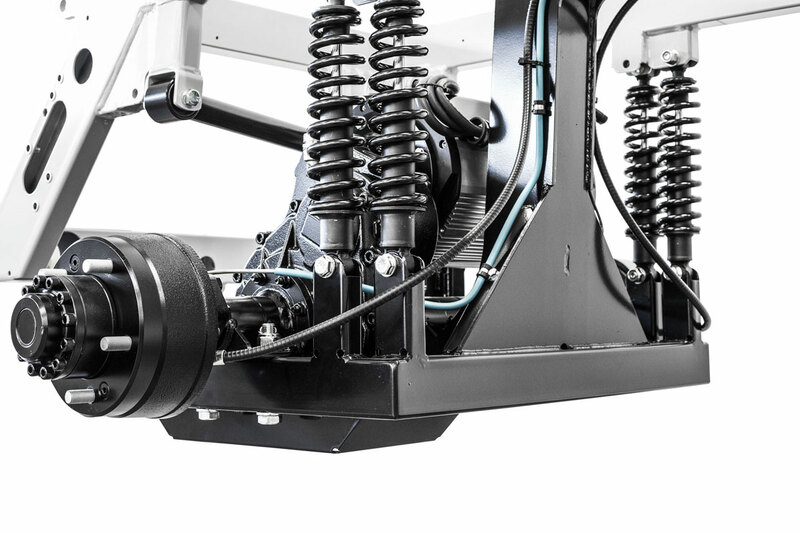 In this sector Alkè offer the new ATX240E a new electric vehicles with revolutionary features and a very convenient relation between loading capacity and price. 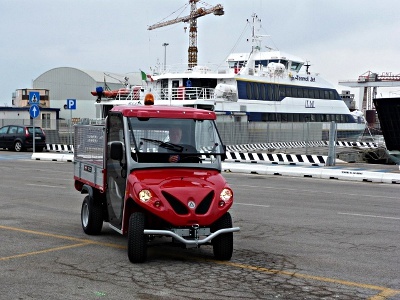 Alkè electric towing tractors are vehicles with top performances, suitable for intensive use with loading capacity up to 1000Kg and towing capacity up to 3000Kg. ATX240E is a professional electric vehicle at the top of its cathegory: electric AC motor 8kW with with 14kW peak,, double speed mode,motor braking system with energy recovery, full floating rear axle, Curtis controller, on-board high frequency charger to plug everywhere. Motor AC electric AC motors allow greater performance, they are extremely quiet and require less maintenance than DC motors. Maximum speed 30 km/h The maximum speed is indicative and evaluated on flat ground under optimal conditions of usage in SPORT mode. 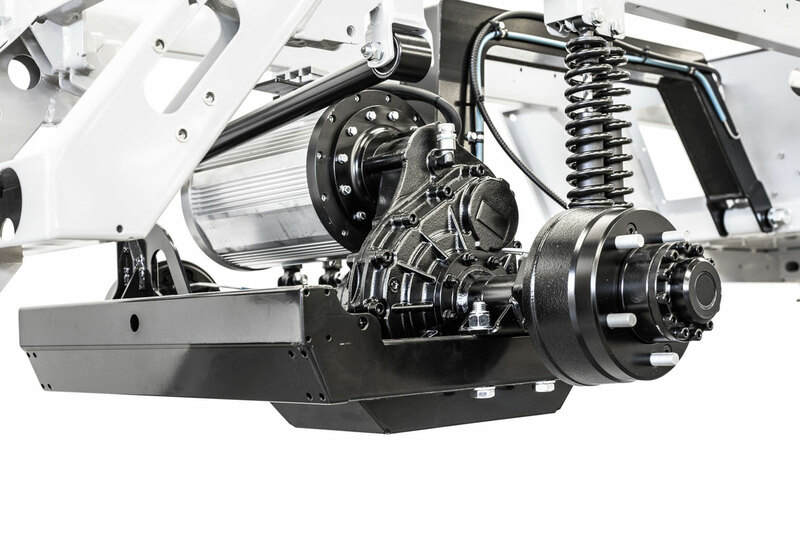 Motor brake Yes, with energy recovery The engine brake with energy recovery ensures high safety standards and perfect descent manoeuvrability, as well as lowering consumption. 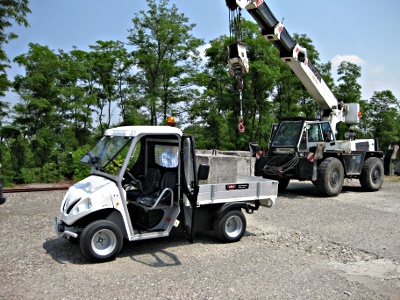 Loading capacity 870kg Capacity on the load bed very high in relation to the small size of the vehicle. Width 127cm The small width allows to operate in restricted areas. 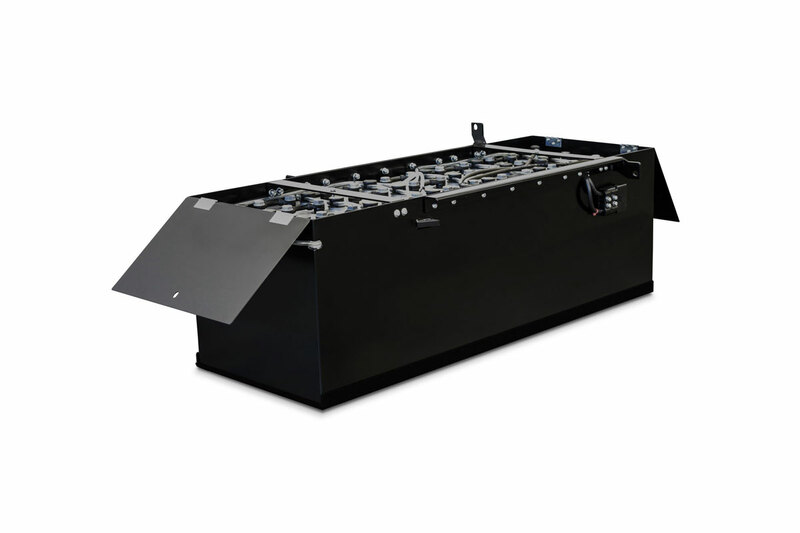 Power 8kW Available power and torque are really for professional and intensive use. 14kW It is the max power available in presence of very demanding slopes. performance even in the presence of slopes and difficult land-types. Clik the following link to see technical specs ATX 240E. 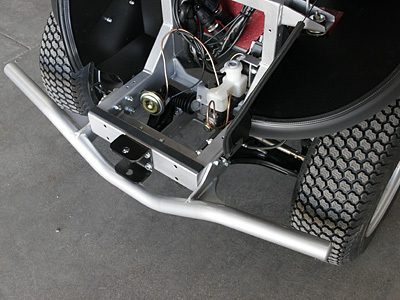 ATX240E is a professional electric tractor designed to resist work loads of more than 10 hours a day. 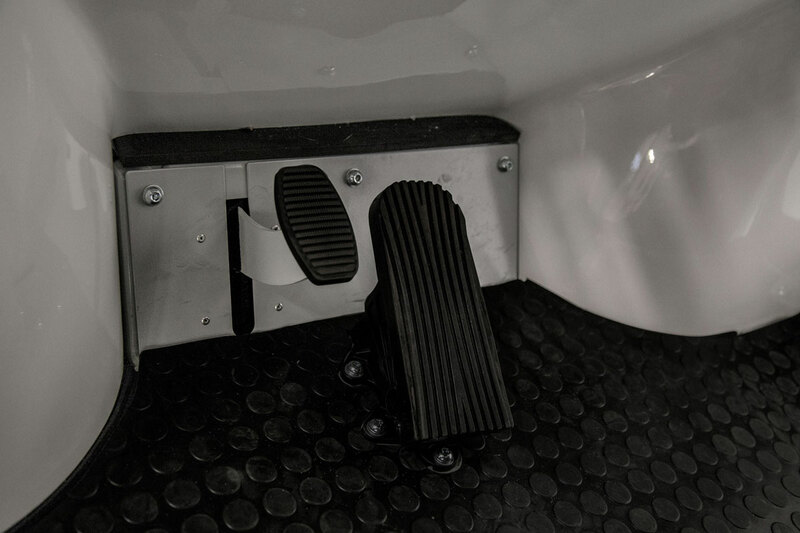 For difficult environmental and climatic conditions, a cab or half-cab may be fitted, and there is also the possibility of an internal heating system.